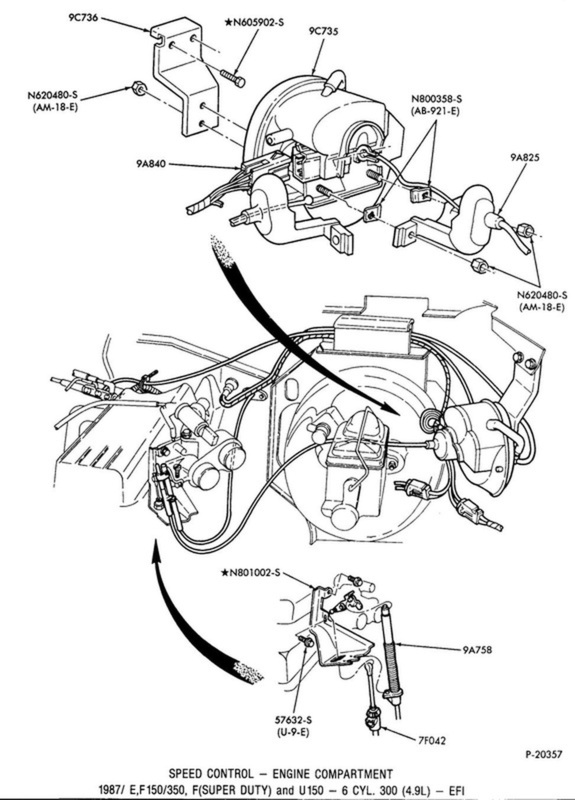 Speed or cruise control illustrations and part numbers for Bullnose trucks. Ford's version of cruise control was called Speed Control, and was available in two versions - factory or dealer-installed. The drawings below show how it was installed, both by the factory as well as the dealer, with the dealer one being at the bottom. And, the part numbers for the kits the dealers installed are also included.